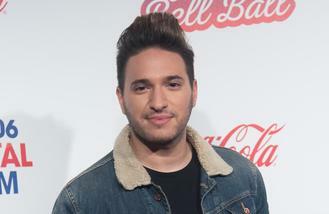 The 27-year-old singer has been nominated for the British Single and British Artist Video at this year's forthcoming event, but he has admitted he won't be hitting the booze this time around because last year ended up in disaster after he got drunk and tipped the sticky drink over his shoes. He explained to OK! magazine: "I kind of got drunk last year and it ended really badly! I've learnt my lesson and I can't deal with the handovers anymore, so I probably won't get as drunk. I was so drunk that I decided to go to McDonald's for a hot chocolate - as you do. "I was wearing a pair of really expensive suede loafer slipper things and I fell asleep in the back of the car and ended up pouring the whole cup down me. It went all over the guy's car too. I never told him but I'm sure it absolutely stank! I ruined my shoes. I won't be going anywhere near McDonald's again this year and I'll be avoiding hot chocolate." Although his parents are so proud of him for carving out a career in the music industry, he has admitted his mother was really "p****d off" with him for not going to school. He said: "I really p****d my mum off because I never went to school. I started as a musician at the age of seven or eight and then, when I was 13 or 14, I just stopped going t school because I was up late working on music of DJing and I couldn't wake up for 7am. That was hard on my mum but I just said: 'Look, trust me.'"